There's going to be a lot of high-fiving going on during the reading of this book. The 75th Annual High Five tournament is coming up and Sensei, the greatest high-fiver in his day, is training the reader for the competition. The tournament begins and the reader is up against some tough competition. 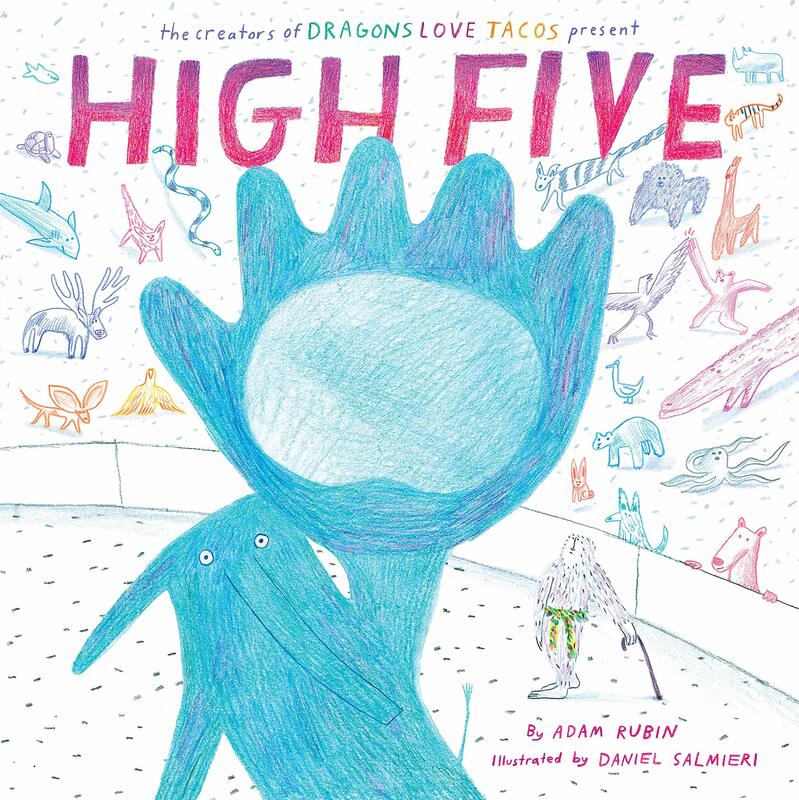 This is a book that invites kids into the story and the illustrations, which look kid drawn, are fun. Thanks to the publisher, Penguin Young Readers, for providing my book review group with a review copy. I was immediately drawn into this book because of the setting which is a small seaside town in Massachusetts. It turned out that the story and characters were amazing. Lucy lives next door to her best friend, Fred, who she is helping to create a field guide to the wildlife in their town. Lucy is often reminded of her mother, a biologist, who died a few years earlier. 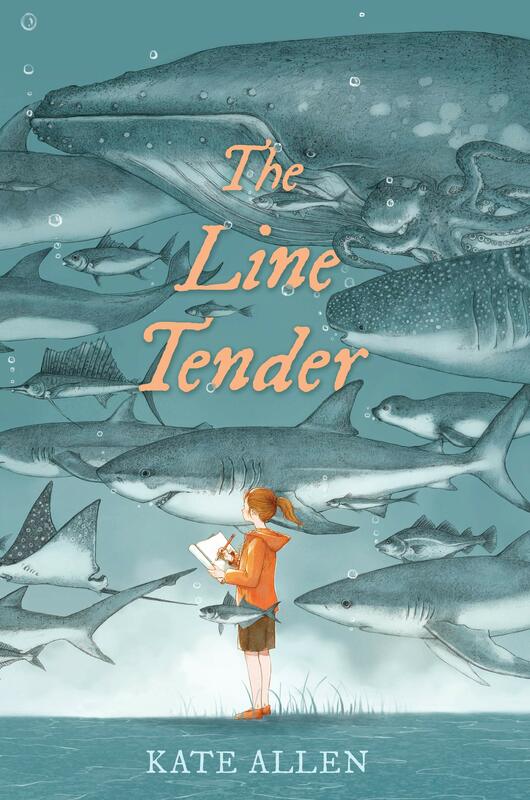 When a tragic accident occurs, Lucy is overwhelmed with grief and she immerses herself in her mother's research on sharks as her heart is mending. Her story makes your heart ache, but it also shows the power of friends, family, and community to help one heal. It's a beautiful story. This is another book with a great setting because it also takes place by the ocean in Massachusetts. Delsie lives on Cape Cod with her grandmother. When a friend asks her what it's like to be an orphan, Delsie begins to wonder about her mother and why she left. It's also the beginning of summer and her friend, Brandy, seems to have outgrown their friendship. As Delsie works through her feelings, she learns about true friendship and the meaning of family. Delsie's story is heart-warming. Thanks to the publisher, Nancy Paulsen Books, for a review copy. The book publishes in May. I am really looking forward to Shouting at the Rain, Lisa & The Line Tender sounds very nice, too. Thanks for all! I'm hearing so many wonderful things about Shouting at the Rain. Can't wait for this title to be published so I can read it!! 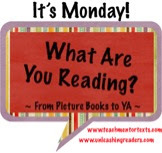 Thank you for sharing all these titles, Lisa! I agree with Linda, I have been looking forward to Shouting at the Rain for a while, but the other titles look great too. I am so very green with envy that you, and others, have already read Shouting at the Rain. Ooh. Two books I feel I should read. Thanks for the reviews. The Line Tender sounds right in my reading wheelhouse! (As does Shouting at the Rain.) I see more purchasing in my future! !